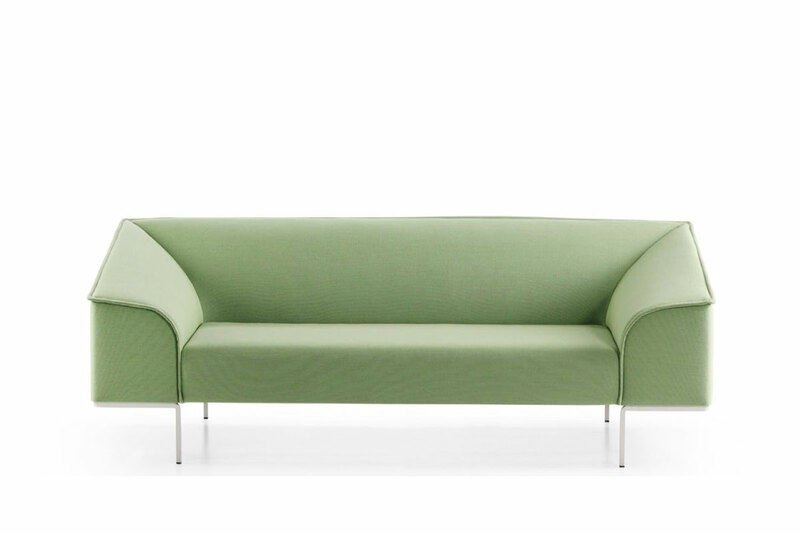 Straight external outlines contrast with the softness of the upholstered seat armrests and backrest. 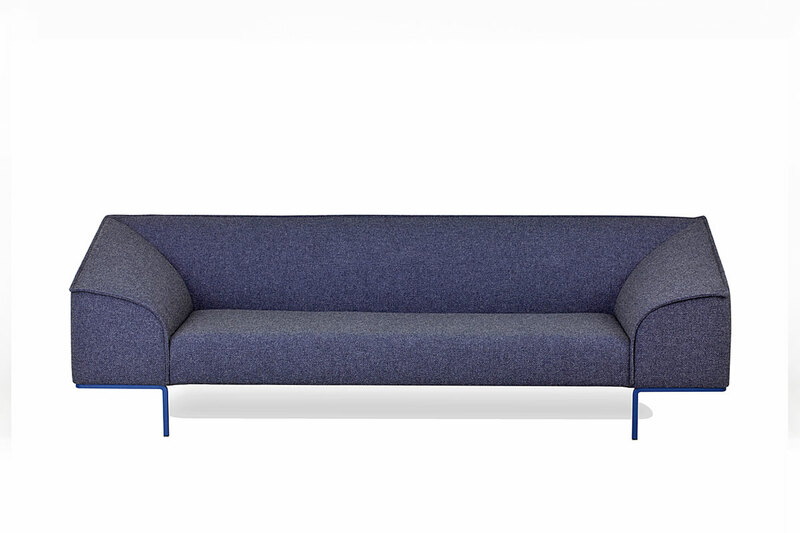 The light-touch metal legs can be colour specified to match or contrast with your chosen upholstery. 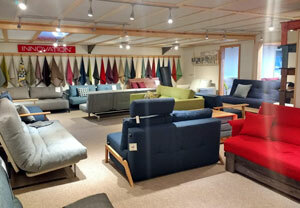 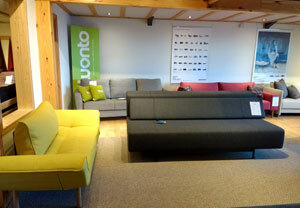 Also available is the larger 3 seater SEAM Sofa.